Warmer temperatures will just melt the snow and ice, so you don’t need to clear your roof, right? Unfortunately, that’s a common misconception among homeowners. 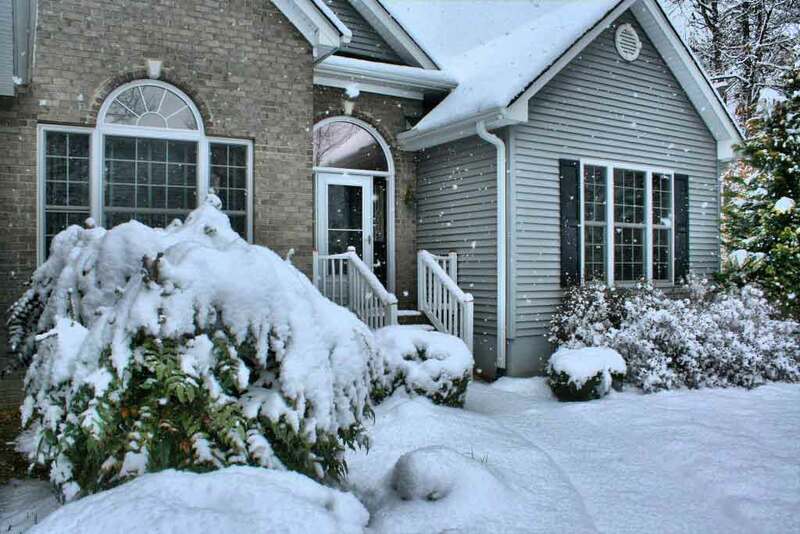 Allowing ice and snow to accumulate on your roof can be damaging to your home. In severe cases, it can even cause your roof to collapse, especially with the heavy, wet snow we get here in the Pacific Northwest. Wet snow can weigh six times more than light, powdery snow. When it snows here, we typically see the same pattern year over year: snow melts during the daytime and then freezes overnight. When this happens, ice dams can start forming on the roof. An ice dam is a ridge of ice that forms at the edge of your roof. This formation prevents water from the melting snow to drain off the roof, causing water build-up behind the dam. When water builds up on the roof, this puts your home at risk of leaks and damages to the ceilings and insulation. Here, we’ll go through our top seven tips for cleaning snow and ice off your roof safely. First and foremost: roofing is a dangerous job, and it’s even more dangerous when the roof is covered in slippery ice and snow. Like everything in life, get a professional to do a dangerous job rather than doing it yourself. Professional roofers have the proper safety gear that’s required for a roofing job, and they’re trained to use it appropriately to ensure the job is completed in an effective manner. Although we recommend hiring a professional, there is one caveat: these types of services run on an hourly basis. Depending on the degree of difficulty and depth of snow and ice on your roof, the hourly rate can vary from $90 to $150 an hour per person. If you’re still inclined to do it yourself and you must clear your roof from snow after what we mentioned above, take precautions to avoid a fall. When the roof is covered in snow and ice, it makes for an incredibly slippery and dangerous situation, so you’ll want to make sure you’re prepared with safety gear such as a harness and non-slip, waterproof boots before you make a trip to your roof. In addition, when you’re raking or shoveling roof off your snow, be careful to avoid any overhead power lines. 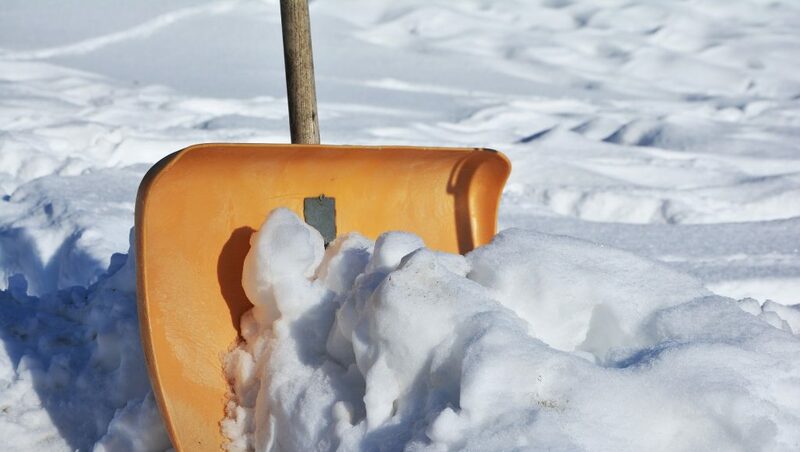 Make sure you’re shoveling or raking your roof as routinely as possible. The rule of thumb is to clear your roof of snow every six inches of snowfall to prevent too much from piling up. As we mentioned above, the heavy, wet snow we get here in the Pacific Northwest typically weighs six times more than the dry, powdery kind of snow you’ll find elsewhere in the country. If your main concern is a roof collapse, then clearing your roof after every 12 inches of snowfall should be adequate. However, if your main goal is to prevent ice dams, then you’ll need to clear your roof after every six inches of snowfall. Traditional snow shovels are made from metal. However, you’ll want to avoid using a shovel with a metal edge and find one that has a plastic or rubber edge. This is because metal edges are more likely to damage your roof. The same can be said about roof rakes for snow. You’ll want to use a rake with rollers or bumpers that will raise the blade from being in direct contact with your shingles. Using this kind of rake will prevent your shingles from getting damaged. After all, the last thing you want is a damaged roof when the snow is melting. If you’re looking for a quick way to dissolve snow and ice on your roof, don’t look to salt products. Putting salt products on your roof can discolor your shingles. In addition, the salt products in the molten snow will kill plants and grass once it reaches the ground. You may have also heard of heated cables that will help melt snow and ice on your roof. 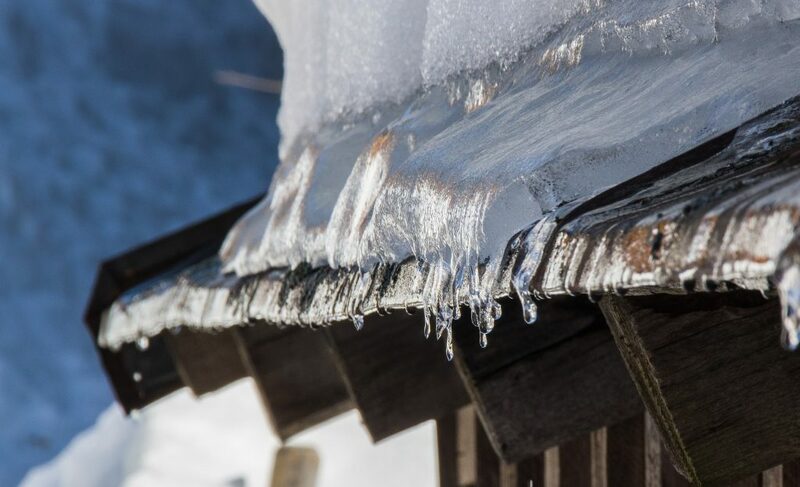 While these sound like a great quick solution to preventing ice and snow buildup on your roof, they’re fairly expensive to run in addition to being minimally effective. In fact, they don’t actually prevent ice dams from forming. Instead, they’re designed to create a small open tunnel under the ice damn to allow built-up water to drain. One inch of snowfall weighs approximately one pound per square foot—and that’s just the weight of light snow. The wet snow we have here is six times heavier, so when you’re cleaning roof off of your snow, make sure there’s no one standing beneath the falling snow and ice. You’re removing the snow and ice from your roof because it’s heavy, and you’re alleviating your roof from the stress of that extra weight. Make sure to let your household know not to be in the surrounding area where you’ll be removing the snow and ice from your roof. When it’s time to start cleaning, you’ll want to first start with your overhangs. Cleaning your roof from the bottom up will prevent you from creating snow paths that will eventually harden and turn into ice later on. If, by any chance, you create compacted snow as you get on top of your roof, you’ll need to remove that compacted snow since it will turn into ice overnight as the temperature drops. Cleaning snow and ice from your roof is a dangerous job, and we recommend hiring a roofing professional who will be equipped with the necessary safety gear. However, if you plan on doing it yourself, you’ll want to take special safety precautions to avoid injuries or falling off your roof. Look for a snow rake or shovel with a plastic or rubber edge to avoid damaging shingles. You’ll also want to clear your roof every six inches if you want to prevent ice dams or every 12 inches if you want to prevent a roof collapse. Another thing to keep in mind is that you’ll want to avoid using any salt products on your roof because they will not only discolor your shingles, but they will also kill your plants and grass once the molten snow reaches the ground. Before you start clearing your roof, make sure you let people know to avoid the surrounding area of the job to avoid injuries. Lastly, you’ll want to start cleaning from the bottom up to avoid creating snow paths that will turn into ice once the temperatures drop. If you have any other questions about cleaning snow and ice from your roof, give us a call at (360) 205-3100 or fill out our contact form for a free estimate in Seattle, Olympia, Bellevue, Snohomish, or the surrounding areas.